Ok, so it took me a bit longer than I hoped (a recurring theme in my reviewing schedule), but today we're taking a look at a new brand that I'm really REALLY excited about: Leonardo Officina Italiana. That name probably won't ring any bells, but its' heritage certainly should! Leonardo is a startup run by Salvatore Matrone, and his father Ciro. Ciro is one of the founders of (late) Delta, for which Salvatore also used to work. I'll let you know in advance that I'm a big fan of Delta, and my Dolcevita's (Dolcevitae?) are among my absolute favorite pens in my collection. So obviously I'm quite excited to see Delta reincarnate -one way or another- into a fresh, new brand! 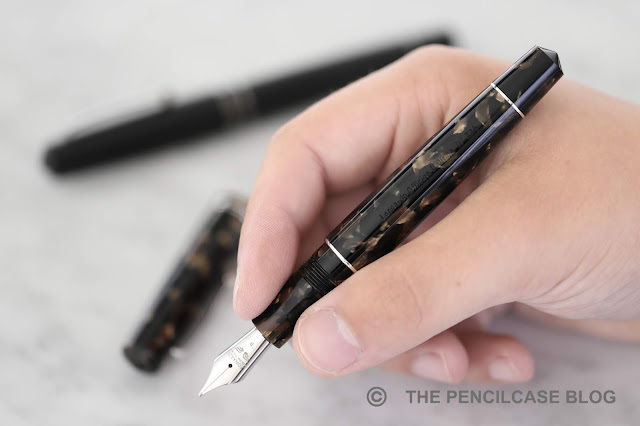 The first series of pens from Leonardo is called the 'Momento Zero' (freely translated: time zero, the starting point). The Momento Zero collection is strongly inspired by the design of the Delta 'The Journal' (that I reviewed HERE), which was actually designed by Salvatore. It's odd how a certain design or shape appeals to you more than another, but I think if I had to pick, it would be something like this! The subtly curved cigar shape ends in pointed conical finials on both side, much like the Nakaya Picolor or Namisu Nova (two pens that I also really like). The Momento Zero comes in a very diverse selection of materials/colorways, the two pens I have are both made out of resin, but there are more exotic materials available too (which are unfortunately much more expensive!). The two colorways I have the vintage brown, and a very stealthy matte black which has matching ruthenium-plated trims. I like the subtle colorways, but there are a few gorgeous colorful materials available as well. Talking about the trims: the design of the Momento Zero is accentuated by quite a few trim rings in a variety of finishes (rhodium-, gold- or ruthenium-plated, depending on the material you choose). Two rings act as a center band on the cap, one on the barrel right underneath the cap, and one at the blind cap. 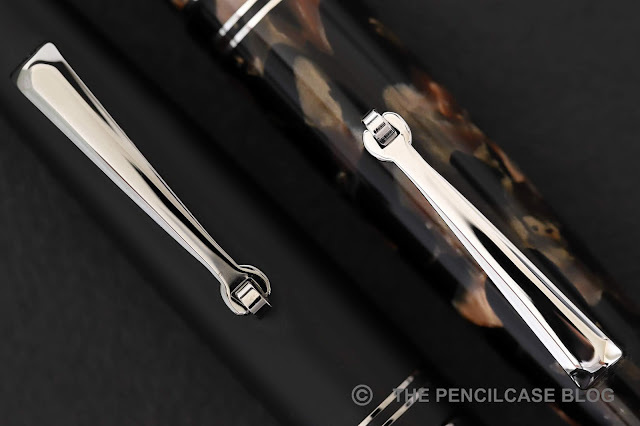 The clip is a traditional 'rolling wheel' style, found on many Italian pens. The face of the clip is sleek and unadorned (which I actually prefer over the clip on The Journal that had some scrollwork engraved on it). 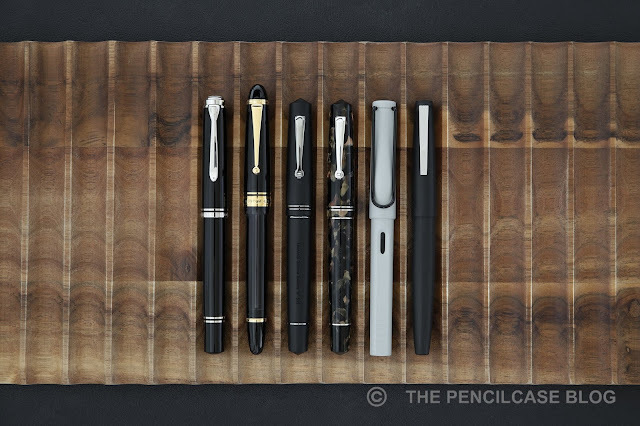 The Momento Zero is a medium-large sized pen, comparable to a Pelikan M800. Closed, it measures 14.2 cm (5.6"), and uncapped it's a respectable 12.9 cm (5.08"). The design is fairly bulbous, with a maximum diameter of around 1.5 cm (0.6"). It narrows down considerably towards the section, where the maximum diameter is a comfortable 1-1.2 cm (0.4-0.47"). With a fully acrylic construction, the weight is kept low at 25g total. The transition from barrel to section is rather subtle because of the nicely rounded trim ring that visually separates the two parts. In terms of comfort, the Momento Zero is downright excellent. The length is just right for me unposted, but it also posts comfortably without making the pen too long or back-heavy. The section has a somewhat unusual two-stage shape that transitions about halfway into a narrower front part, but in the hand it's actually quite comfortable. 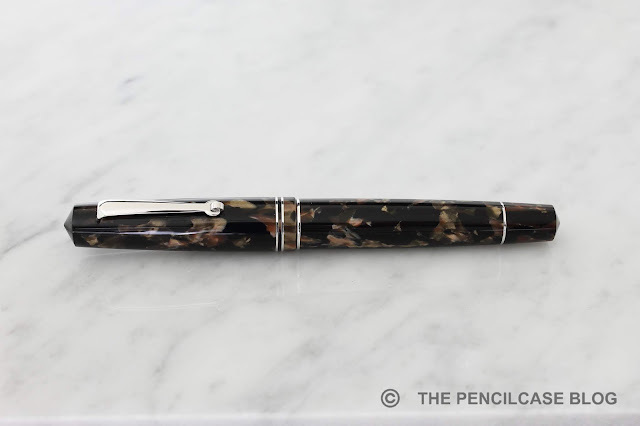 It's a fatigue-free pen to use, in part because of the section shape, but also due to the nice balance (the metal converter on the inside adds some substance to the rear of the barrel, which rests nicely in the web of my hand). The filling system, much like the Delta Journal, is a captured converter. You can choose to either use the converter like you normally would, unscrewing the entire barrel, or by unscrewing the blind cap which lets you access the converter and lets you use it like a traditional piston filler. The latter option is quite cool, although I most often found myself just unscrewing the entire barrel to be able to see the ink level. The blind cap is a 'classier' way to do it though. I always loved Delta for their nibs, and Leonardo seems to be continuing along the same trend. I tried three different steel nibs, and all of them were superbly smooth, even the finer ones. They have a medium-rich consistent ink flow that keeps up nicely even with the broad nib. 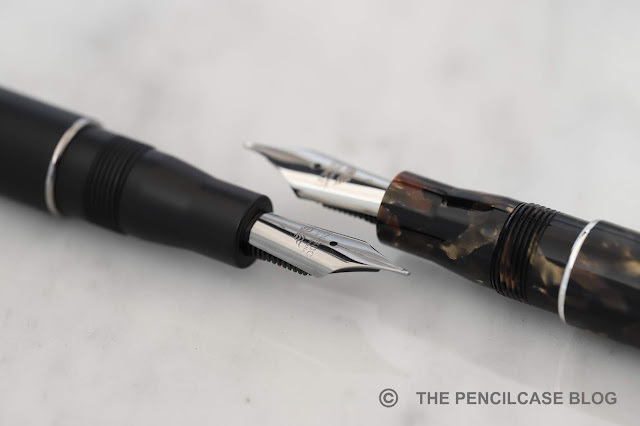 The nib is, however, a slight bit prone to drying out. So I encountered some skips and hard starts after leaving the pen unused for a few days. The drying out issues are a bit of a nuisance, and definitely distract from an otherwise excellent writing experience. 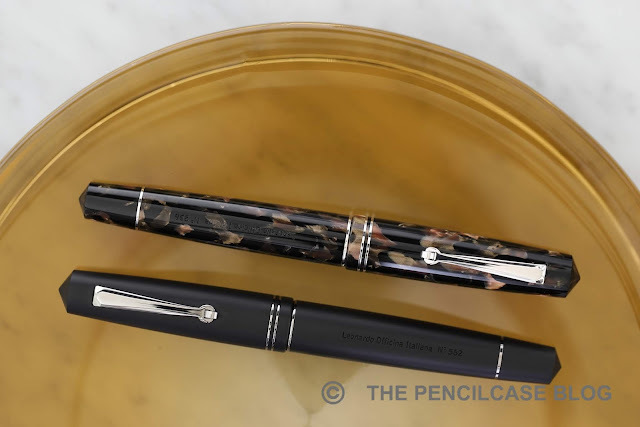 But nevertheless, I am quite impressed with the Leonardo Momento Zero fountain pens, and how they managed to capture a lot of the heritage that Delta left behind. 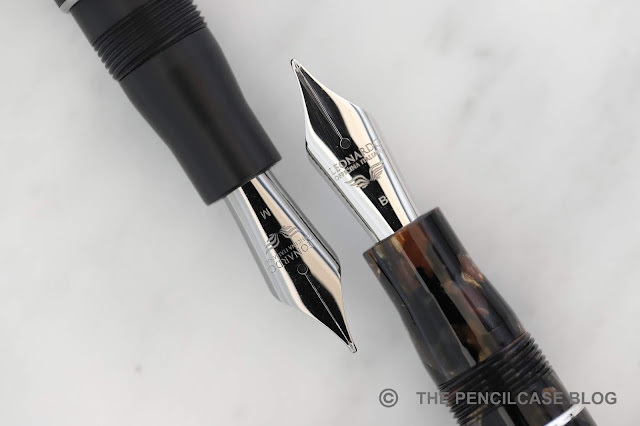 Some way or another, I secretly hope they will revive the fantastic Delta Dolcevita as well, but at the same time I'm curious to see the brand evolve and create its' own identity (somewhat like Scribo picking up some Omas elements, incorporating them into new and refreshing designs). Prices vary depending on the material you choose, but the general selection of acrylic materials are all priced around 150€ (imported without VAT: around 137$), with a few slightly more expensive options. 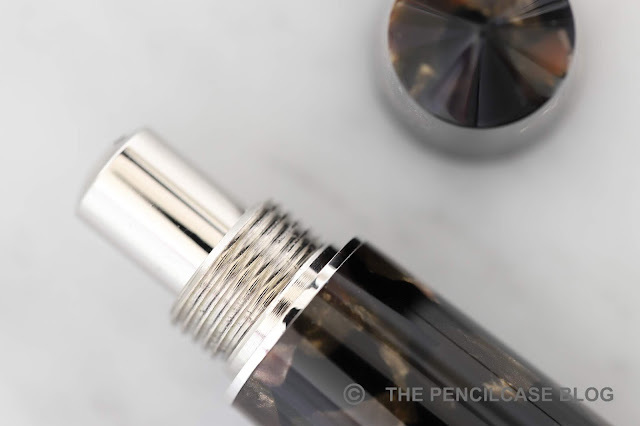 The Momento Zero pens are situated in a very competitive price range, where Leonardo Officina Italiana can easily compete with the likes of Edison or Franklin-Christoph. 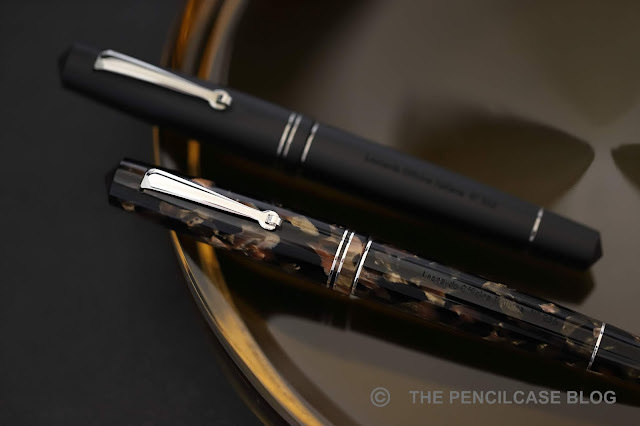 And then we haven't even talked about the gorgeous limited edition Momento Zero pens in various celluloids or ebonite (with a gold nib!)... that are considerably more expensive, unfortunately! This product was sent to me by Casa Della Stilografica (sponsor) and Leonardo Officina Italiana so I could write this review. I was in no way influenced in the making of this review, the opinions shared in this review are completely my own! This post does not contain affilate links. Great review! I got my Momento Zero two weeks ago and also found that the nib had some issues. First, it was extremely "glassy," to the point that it messed up my handwriting since the pen was difficult to "control" (as ridiculous as it may sound). The most annoying issue, though, was the drying up and hard-starts. I found that the nib was set too far from the feed at the tip, so I disassembled the nib and bent it down a bit. Now, after a week of tweaks, the pen writes great. Thanks. I totally understand what you mean! The nibs are indeed very well-polished, and I too sometimes find slightly 'toothier' nibs to provide a more controlled writing experience. I got my Momento Zero Hawaii last December and I had some issues with the nib (medium). It was somehow soft and not so "stable" as of the Delta. It had the tendency to bend. After two or three weeks strangling with it, I decided to replace it with a Bock 250. Now the Momento Zero is the perfect writer together with my Delta “The Journal”.